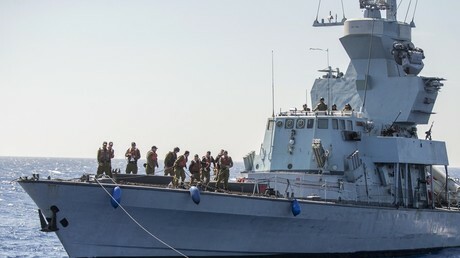 Benjamin Netanyahu has lashed out at Israeli arch-regional foe Iran, vowing that any attempt by Tehran to block the key waterway off Yemen’s coast would be met by force from the “international coalition” and Israel in particular. Yet, Netanyahu branded the incident “a sharp clash with Iran’s satellites who tried to sabotage international shipping” at the mouth of the Red Sea. The Saudi-led coalition insists that its oil tanker was attacked by the Houthis in the Bab-el-Mandeb Strait located between Yemen and Eritrea and Djibouti on the Arabian Peninsula. The Saudi-led coalition has been waging a military campaign against Shia Houthi rebels in Yemen since March 2015, in an attempt to put the ousted Yemeni president Abdrabbuh Mansur Hadi back in power. The intervention and blockade of the country has contributed to a massive humanitarian disaster. Since the start of the campaign, the coalition has been accused by human rights groups and activists of killing thousands of civilians but it has rarely accepted responsibility. The Houthis, who control Yemen’s capital Sanaa and large parts in the north of the country, have been occasionally targeting Saudi oil facilities. In April, a Saudi oil tanker was also struck by Houthi rebels in the Red Sea, west of Yemen’s Hodeidah. The vessel sustained “minor damage” and continued on its route.